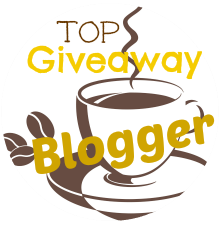 Couponing Momma Giveaways & Reviews: $20 bonus on any working MacBook valued at $50 or more at trade-in with Gazelle! $20 bonus on any working MacBook valued at $50 or more at trade-in with Gazelle! **FTC Disclosure Statement: This post contains affiliate links which means that I may receive a commission if you click a link and make a purchase. Offer Terms and Conditions: One per customer and only applicable on MacBooks. Ends 3/22/2015. Apple just unveiled at their event a brand new MacBook that will be released on April 10th! Apple says this brand new MacBook is the lightest and thinnest Mac in Apple's history at two pounds. This new MacBook includes a 12-inch retina display, nine hour battery and no fan for a silent operation. With Spring around the corner, people are clearing and making way for this new product so trade-in your MacBook today to help you upgrade to the latest devices at Gazelle. Laptops end up collecting dust or taking up space in landfills, but with Gazelle not only will you be helping the environment but you will be filling your pockets with cash at the same time! To make this even sweeter, for a limited time only, get a $20 bonus on any working MacBook valued at $50+ at trade-in at Gazelle. Start the simple process now and be on your way to collecting some extra funds for Spring. Don't forget though, Gazelle accepts all electronics. 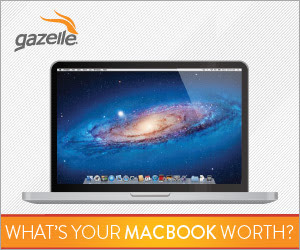 Visit Gazelle today, and see what your MacBook is worth!